Most of us are well aware of medical conditions like asthma, hypertension, and diabetes. However, there are other serious illnesses so rare they are never discussed by the general public. Next, we will discuss five uncommon medical conditions and give tips on how to treat them. 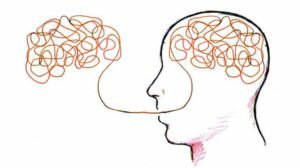 Foreign accent syndrome, or FAS, alters the speech of an individual in a way that causes them to speak with a foreign accent. This condition is caused many times by traumatic brain injury. The condition can also result from a stroke. Some less common causes are conversion disorder and multiple sclerosis. The speech of a person suffering from FAS does not lose its intelligence. The speech alterations involve changes in intonation, tongue placement, and the timing of the word delivery. The available data shows that FAS patients have experienced accent changes from British English to French, Japanese to Korean, and American English to English with a British accent. 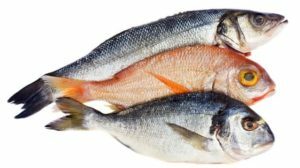 Individuals suffering from trimethylaminuria emit a body odor that reminds many people of rotting fish. This smell will be present on their breath, in their sweat, and in the patient’s urine. The condition is caused by an inability of the body to break down trimethylamine. The FMO3 gene is responsible for breaking down trimethylamine. Individuals at risk of fish odor syndrome suffer from a mutation of this gene. The strength of the odor varies from patient to patient but in all cases seriously impact the patient’s life. The effects of the disease can possibly be lessened with changes in diet that result in a reduction in precursors for trimethylamine. Many of us have had one too many alcoholic drinks at night only to feel bad the next morning. While a night of drinking is sometimes enjoyable, the body will make its dislike for over-partying quiet clear if you are not careful. 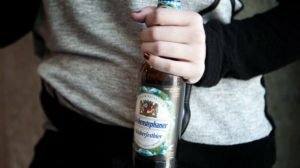 Individuals suffering from a condition known as auto brewery syndrome can become intoxicated and even experience hangovers while drinking little to no alcohol. Auto-brewery syndrome sufferers produce alcohol in their gut whenever eating a meal rich in carbohydrates. The presence of a particular type of yeast in the gut is the cause of the syndrome. The condition can be managed by eating a diet high in protein and low in carbohydrates. There is a fact that poor sleep habits can have serious consequences to both our physical and mental health. It is quite simple for most of us to address this problem with simple lifestyle changes. 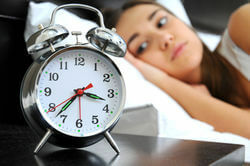 However, a few individuals who suffer from fatal familial insomnia are not so fortunate. The degenerative brain disorder is genetic in nature and can wreak havoc with a patient’s health and well-being. In serious cases, the condition can negatively affect autonomic functions such as body temperature, heart rate, and breathing. It was once believed antipsychotic medication could treat this condition but so far these attempts have been unsuccessful. Researchers are still optimistic a cure can be found. Proteus syndrome is a strange condition in which skin, bones, arteries, and organs can be affected by disproportionate growth. The disease is caused by genetic factors but is not directly inherited. It instead begins with a gene mutation while still in the womb. The condition is most often not apparent at birth. 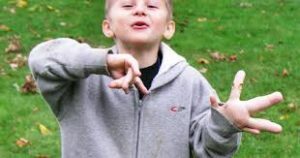 The signs of disproportionate growth usually began to show themselves from six to eighteen months of age. The problem gets worse as the patient continues to age. Poor eyesight, limited intellectual development, seizures, and non-cancerous tumors are all conditions associated with the syndrome. Also, Read About: Do You Know The Difference Between Disease And Disorder? There are many illnesses and conditions which are often discussed publicly and in private. However, there are disorders so rare that most people will never become aware of them. The five listings above are conditions that are extremely rare in nature along with tips on how to treat these disorders.